Tackling any task alone is a sure fire way of it failing. You will have to manage many task alone, without the help to get things completed, you will have to rush, do things hazardously, and much more. However, if you have the right help for any task things will go better. You can spread the work about, get things done faster, do things correctly and fully, and much more. This can be applied to many things including a removal. If you are underway with a home or business selection or you are about to get started it is soon as apparent how tough things can be. Planning your home or office removals so that you do everything and on time, sorting and packing goods, purchasing materials, carrying heavy items, transporting all of your things and much more doesn’t seem possible on your own. Luckily though, the support you need is at hand. We at London Removals can provide you with expert movers who can assist with every aspect of your move when you call us on 020 8746 4366. We are a professional removal company who specialises in assisting people with their removals and we do this by hiring the best movers. Our moving staff are capable of handling every part of your move and will do it well. Our moving team can come to your home when you need them and tackle the necessary chores. To ensure you get what you need, we offer free quotations over the phone, so you can select our team and services and get a great deal. These quotes need no sort of commitment upon request, so if a deal doesn’t suit you, you can apses. Every member of our team is a skilled professional. 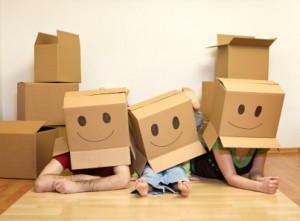 We expect nothing less that expertise from any of our moving staff and so we can guarantee you have the best move. Everyone who works for us must know how to tackle a move properly, what materials to use, what are the best techniques, and more, so that your packing goes well. We require strong people who can carry furniture and boxes safely in and out of addresses, on, and off transportation. This has to be done properly for not only your move goes well, but also so there are no damages or injuries. Being good at moving is not enough for the moving staff we hire, as we expect them to be much more. We want people who are friendly so that you have plenty experience with your move and will understand the importance of your goods. Our employees must be approachable so that you feel comfortable asking them questions and making requests. It is also vital that we are happy to accommodate your needs so we will do things how you want it and change aspects of the move for your convenience. Knowing that our staff are good at their job doesn’t mean anything if you are unsure of what we can do for you. Our team of removal experts can help you pack your goods and we will do so using our experience and skill. We will enfold items in suitable wrapping and place them properly in boxes. We will supply the wrapping for you, so you have access to the best materials. We have the strength and know-how to carry items safely and with our moving vehicles, we will get your goods to where you need them and on time. We provide movers who meet all these qualities so contact London Removals today on 020 8746 4366 to hire them for your move.